Simmer hot dogs. Remove from water, dry and butterfly open. Add a drizzle of oil to a skillet over medium high heat, brown the butterfly hot dogs on both sides. Cut hots in half across. Heat a skillet. Lightly spread butter on each bread. Build sandwich with butter side out. Add mustard, cheese, hot dog (using one hot per sandwich) add additional cheese and sliced onions. Set bread tops in place, butter side facing out. 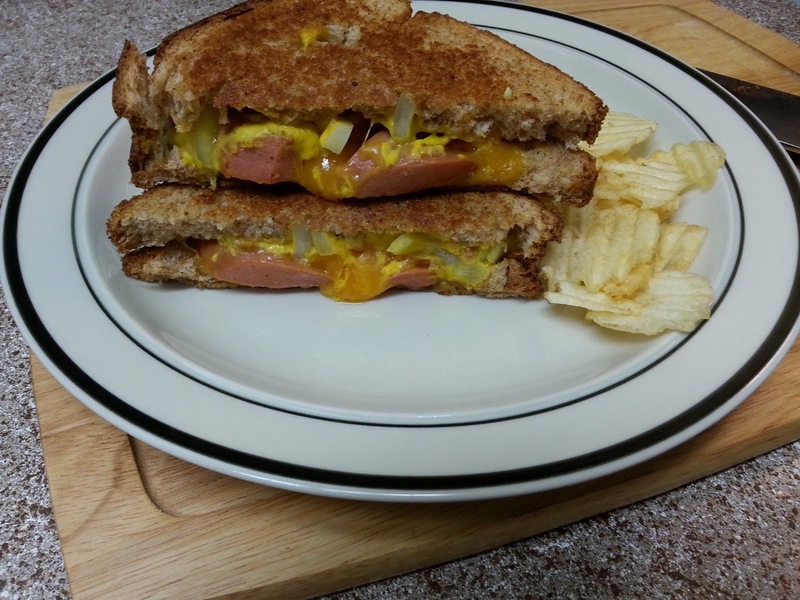 Place sandwich in skillet, until golden brown and cheese has melted.